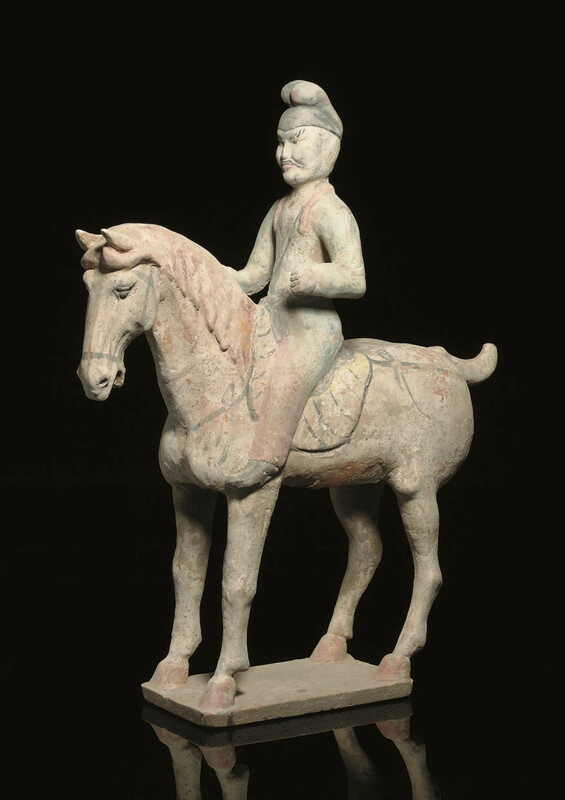 the rider with a determined expression, probably depicting a foreigner, and the horse with well-modelled facial features, both with details painted in red, black and white -- 17½in. (44.5cm.) high. The result of thermoluminescence test, Labor Ralf Kotalla, no. 010217 is consistent with the dating of this lot.